There were 27% more 'bums on seats' this year compared to last – that's an estimated attendance in excess of 5,000 people across all festival concerts – both paid for and free. In addition there were four well-attended services in the Minster. 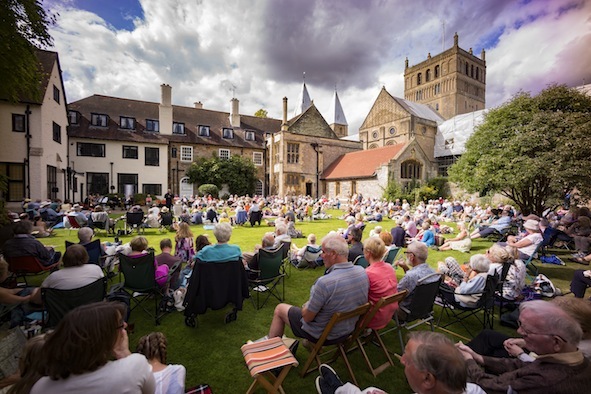 Festival Founder and Artistic Director Marcus Farnsworth said: "The 2017 Festival has once again surpassed its predecessors in the consistent quality of music making, the audience reaction and the level of attendance. This is remarkable in view of the outstanding quality of previous Festivals. "The figure does not represent the number of individuals who came since most people attended more than one event; however it clearly indicates that more people are coming and are choosing to attend more events. "I'm very grateful to everyone who played a part in making this year's Festival the best yet. It is an extraordinary community effort and the organisers recognise that we could not succeed without that support. Thank you!" "We look forward to next year but before that will be excited to welcome everyone to a special Christmas concert on Friday 22nd December: tickets are already on sale at the Cathedral shop."